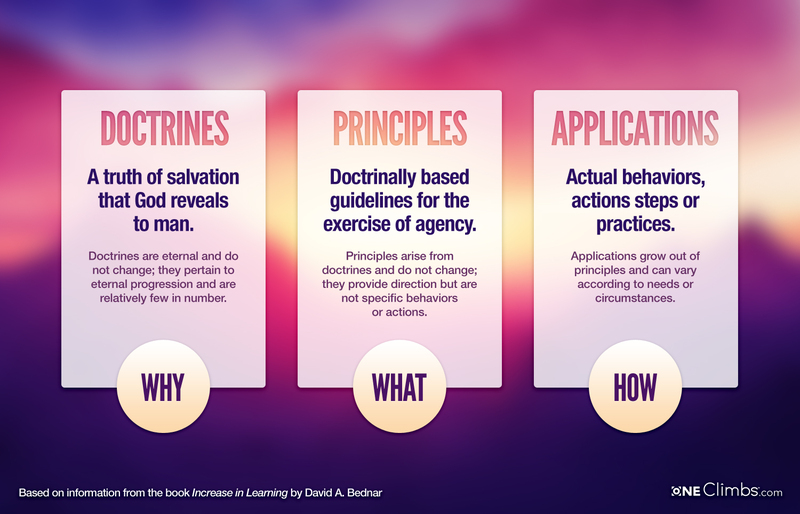 What are Doctrines, Principles & Applications? Ever find yourself thinking “I’m not quite sure I really know the definition of that word”? If not, then you are amazing and I applaud you. I’ve found it to be valuable to quiz yourself continually as to your knowledge concerning the meanings of words. Here on oneClimbs, I’ve written a few articles trying to clarify common misconceptions about the meanings of certain words. Don’t even get me started on Latter-day Saints use of the word “peculiar“. Understanding the true meanings of words will often bring refreshing insights that are hidden behind a veil of misconception.